As streaming and video recording grow in popularity for the gaming community, ease of access to these functions has increased. Modern consoles now have the ability to stream and record built right into the hardware, even if it is in a somewhat limited capacity. It can often feel like there’s a big divide if players want to jump from those simple solutions to a more professional rig. With the advent of 4K becoming ever more prevalent, the processing power and storage requirements to set up 4K capture just aren’t in the cards for many. Often that means sacrificing full 4K pass-through to do lower resolution recording and streaming. AVerMedia is seeking to make flexible solutions that offer quality, ease of use, and affordability–particularly for those who don’t have a top-tier computer for processing full 4K streams and captures. The Live Gamer Portable 2 Plus’ flagship feature is the 4K pass-through, meaning players can capture and stream at 1080p 60fps while still outputting to their display at a full 4K. I should note that the LGP2+ is not a 4K streaming and capture device. For our PlayStation audience, it’s a solution that allows you to fully utilize your PS4 Pro with a 4K TV, yet not need an expensive 4K capture card and high-end computer. The only downside is the lack of HDR on the pass-through, so if your TV does HDR alongside 4K, you’ll have to unplug the LGP2+ to get all of that functionality. Perhaps most impressive about the LGP2+ is a set of features that’s not even new to this device. The original LGP2 had the ability to use the capture card in multiple configurations, from running through a computer and using the RECentral 4 software to capture and stream, to using it as a standalone capture device that records directly to a microSD without the need for a computer. What’s more, you can flip the switch on the front over to storage mode and pull the videos right off the LGP2+ without needing to fuss with SD card adapters. The flexible nature makes it adaptable to a lot of situations. I have mine set up near my TV, always running through the HDMI. This way I can easily reach out and tap the hot button on the front to start and stop recording anytime I want to. Previous capture devices have required me to think about my set up, prep for recording by getting out my laptop and dragging a series of cables around. If I want to stream, it’s as easy as plugging in the USB cable and flicking the switch on the front to the proper setting for a computer connection. Otherwise, the LGP2+ always stands at the ready, almost as easy to start and stop recording as hitting that Share button on my DualShock 4, and at a notably higher quality. Even in the PC-free mode, you can record commentaries and party chats using the two 3.5mm inputs on the front of the LGP2+, a convenience that requires complicated workarounds or extra accessories with other capture cards. Everything that you need is included right out of the box, though I do wish it came with a longer HDMI cable. The one that comes in the box is about a foot and a half long, so if you want to have the capture card pulled anywhere away from the TV, you’ll need to buy a longer one. This probably isn’t a big issue for most people who have a spare longer HDMI cable or two lying around, and admittedly, the shorter cable is better for the LGP2+ as a portable device. Sometimes it’s not just about the device itself, but the software that allows you to customize it. RECentral 4 is exceptionally easy to use and does away with a lot of the fluff that other capture software has. The interface has been designed in such a way that is more friendly to the user experience, and AVerMedia has done a lot of work on the back end to further decrease CPU usage of the software. RECentral 4 can also be used to customize the settings on the LGP2+, including the capture quality when being used in standalone PC-free mode and what function the hot button directly on the LGP2+ performs when touched while tethered to a PC. I haven’t had a chance to really dive into the software and all of the nuanced features beyond standard streaming and capture yet, but there a lot of features like live editing, screen capture, simultaneous streaming and recording—in different qualities no less—and an audio mixer to balance the external audio with the source sound. Users can set up a bunch of different formats for streams, including picture-in-picture for webcams, multiple input sources, and using overlays. None of the features are buried within menus, yet the interface is still streamlined and provides one of the more exceptional user experiences in streaming software. 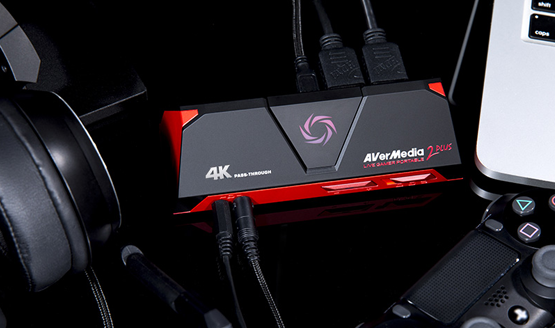 AVerMedia isn’t necessarily doing anything completely different with the Live Gamer Portable 2 Plus capture device, but it does sit at a crossroads of having a number of small features that game capture easy, affordable, and flexible. The LGP2+ can adapt to a variety of capture scenarios, and the ability to use it as a standalone device provides a strong utility for quick and simple high-quality captures. You could get all of these features in the LGP2, but the Plus’ 4K pass-through is important for those who upgraded to 4K gaming and don’t want to either sacrifice output quality or buy an expensive setup just to record and stream. 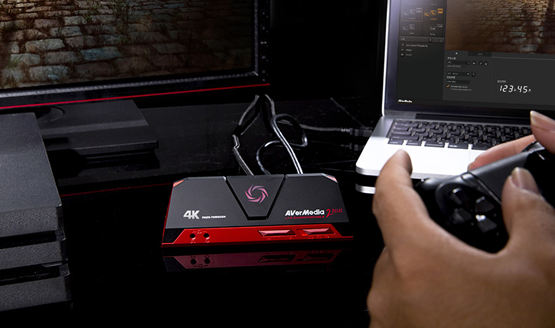 AVerMedia Live Gamer Portable 2 Plus review unit provided by manufacturer. If you would like more information on the technical specs of this device, you can visit the product page. For more information on reviews scores, please read our Review Policy.